Paula at Pollycraft had decided to shut up shop to concentrate on her family and soon to be new arrival. To celebrate all her fabulous images she is throwing a little farewell sharing party, where you can link up your favourite Pollycraft creations. She also has a fantastic offer on her digis so hop over to have a look, you won't be sorry. After I've done this post I'm off over to use my OH's paypal and get me some of these gorgeous images before they go. 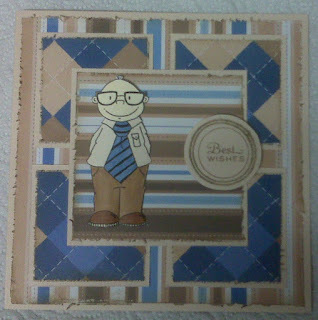 Here is one of my favourite man cards with Maurice as the centre piece. He is a hunk isn't he? lol! love this card Poppet.... thanks so much for sharing!